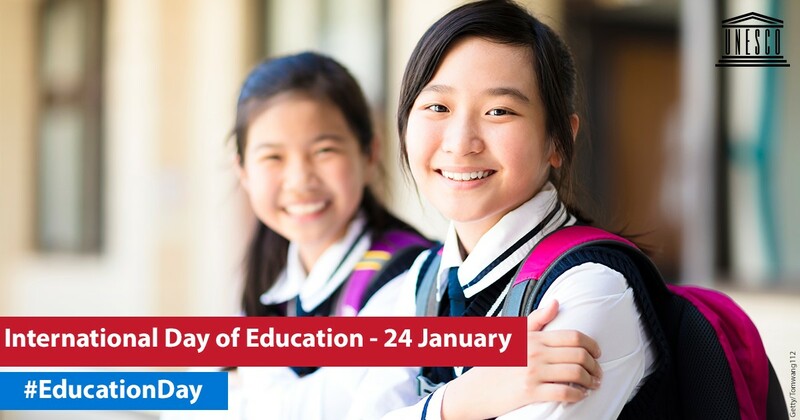 UNESCO Almaty Cluster Office, in cooperation with Kazakh State Women's Teacher Training University, is organizing a seminar on 24 January on the occasion of the International Day of Education. The General Assembly of the United Nations declared 24 January as the International Day of Education in December last year. This significant decision recognizes the important role of education in “Transforming our world: the 2030 Agenda for Sustainable Development”. The university was the first educational institution established for the training of female teachers. Therefore, it is symbolic to celebrate the International Day of Education at the Kazakh State Women's Teacher Training University. Teachers are the most influential and powerful forces for equity, access and quality in education. On this International Day of Education, everyone is called to commit to ensuring that teachers are qualified, supported and properly selected to guarantee everyone the #Right to education. The main purpose of the event is to emphasize the important role of education in achieving 17 Sustainable Development Goals until 2030 to the academic community, teachers, future teachers, and students. Target audience: students and teachers of the Kazakh State Women's Teacher Training University, young teachers of universities of Kazakhstan, students, teachers and directors of schools, members of the media.